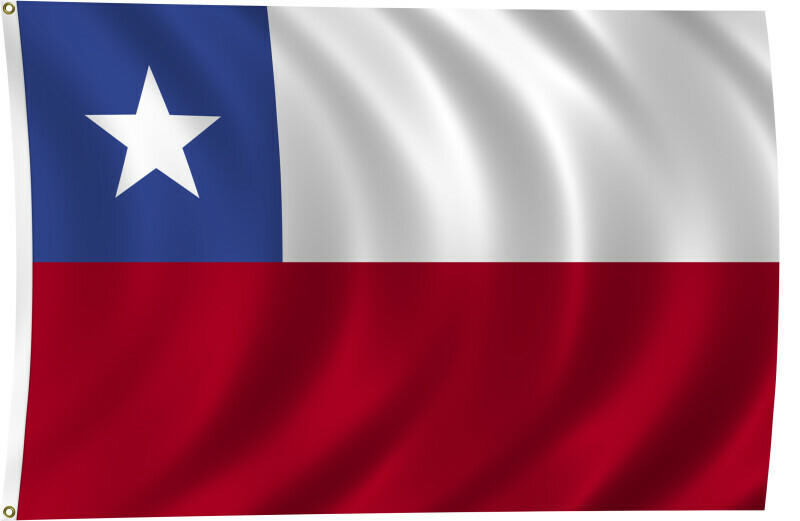 Color flag of Chile. Two equal horizontal bands of white (top) and red; a blue square the same height as the white band at the hoist-side end of the white band; the square bears a white five-pointed star in the center representing a guide to progress and honor; blue symbolizes the sky, white is for the snow-covered Andes, and red represents the blood spilled to achieve independence. Flat color and black/white versions of world flags are available on the Clipart ETC website.